Sixty-five years ago, ‘The Marshall Plan’ for reviving Europe’s economy after World War II, changed the course of history. 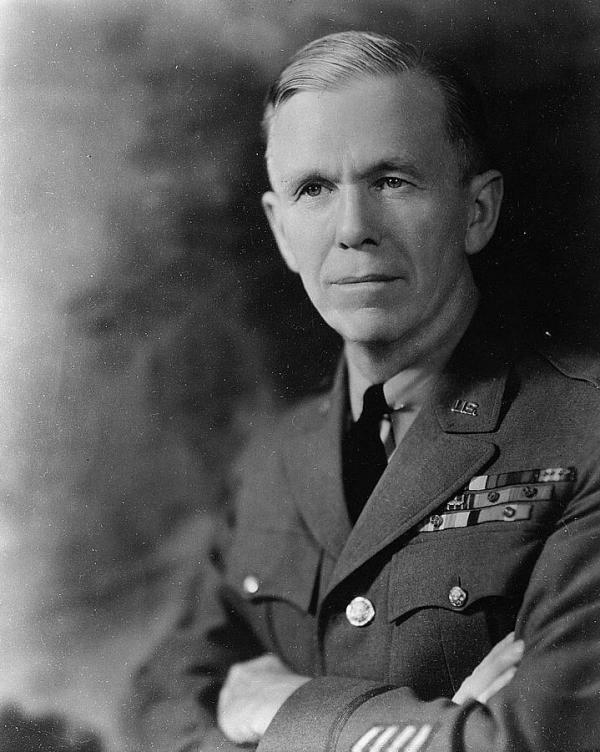 As Secretary of State after the war, General George Marshall conceived the plan in the wake of the devastation of World War Two. The plan resides here in Virginia and is still studied by leaders and scholars from all over the world. Nearly 4,000 hand typed, onion-skin pages comprise the Marshall plan. Congressional hearings, speeches, and other documents outline a plan for peace nearly as vast as the military campaign, which preceded it, are housed at the Marshall Foundation Library in Lexington. George Marshall won the Nobel Peace Prize for the Marshall Plan in 1953. At the time, some in Congress criticized the plan for its cost. Others for its reach, characterizing it as a move to create markets for American goods overseas. The $13-billion plan relied on a broad coalition and contributions from the countries in question. Many believe it not only helped Europe get back on its feet, but also prevented World War Three. The Marshall plan was unlike any other yet undertaken by the United States. It would help make it a world leader in the decades that followed. All that went into the Marshall plan is now on line for politicians, historians or anyone with an Internet connection to explore. Gary Worley got a chance to see exactly what the Marshall Plan really was, in a literal sense. Director of the imaging repository at Virginia Tech, the library approached him to ask if Worley could create a digital version from the original, large cloth bound book, it’s pages from many different sources and typesets. “My feeling historically was, this is a once of a lifetime opportunity and it’s a significant opportunity for the commonwealth in that Virginia owns this book and it’s inside the boundaries of our state," said Worley. Worley and a colleague used the Virginia Tech’s high-powered, automatic book scanner, but the machine could not capture all the nuances of the original documents. So like monks of the middle ages, the two spent more than a thousand hours, recreating the yellowing pages by hand for the digital realm. The plan to revive post war Europe for the benefit of the world can now be seen online by everyone in it.